Pasteurised Iced Coffee with cocoa. 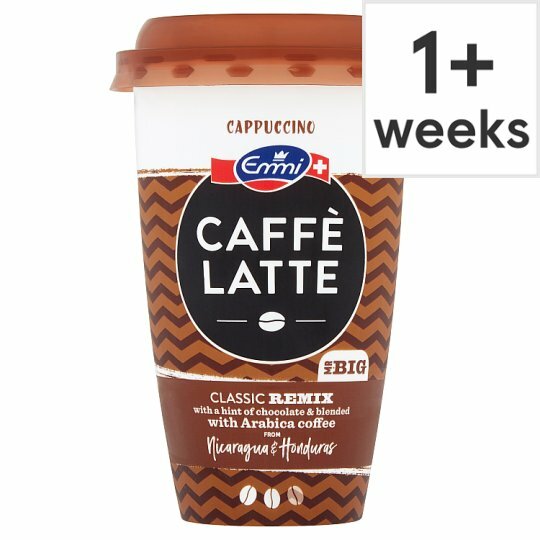 Hi there, this is Emmi Caffѐ Latte! The Perfect Refreshment and your Daily Cup of Inspiration - for those who Enjoy Life to the fullest. All our Coffee Beans are Grown Exclusively on Rainforest Alliance Certified™ Farms. Have a Lovely Day! Caffeine content: 129mg per cup. Keep refrigerated., Best before: see lid.